Whether you want to learn something new or you simply want to brush up on your stored knowledge, iTunes U is a great app that gives you access to just about any topic that you want to learn. It’s free so you get all the courses and lessons at no extra charge. Here’s how you can get iTunes U on your device. You can get the app from the app store. As I have told you earlier, it is free so there is nothing to worry about. 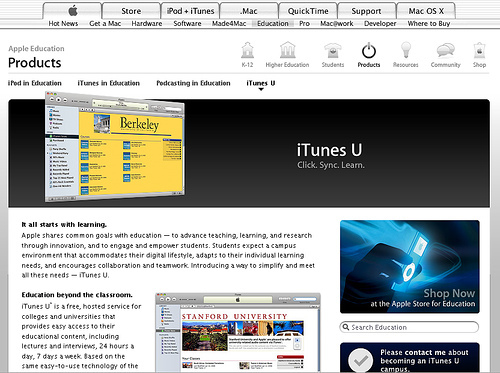 Once the app is installed, click on the iTunes U app icon in your Home screen. As it opens, click on the Catalog button so that you can see all the courses that are available with the app. Select the course that you want to subscribe to. Don’t be afraid to use the search feature if you’re looking for a specific topic. Once you found the ones that you want, click Subscribe. The button will change into a Get Course button. Click on it and wait for the download. Congratulations. You have successfully subscribed to a iTunes U course. Download as many courses as you can and be an expert at a certain niche.